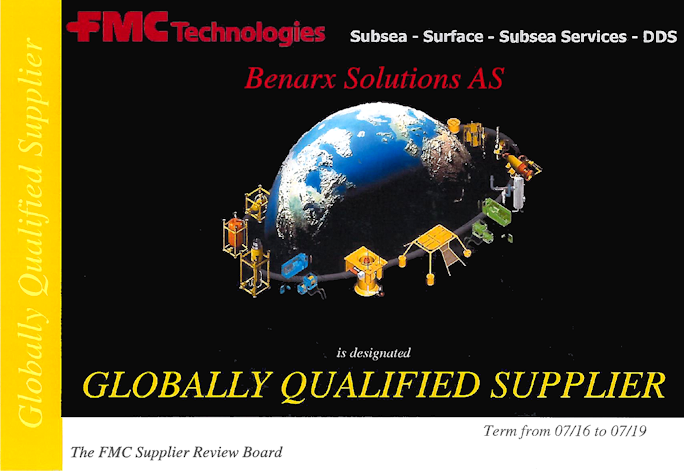 Benarx Solutions is an approved supplier to FMC Technologies projects globally. Benarx Solutions coopertion with FMC dates back several years and FMCs requirements for high quality standards and reliable implementation has helped Benarx Solutions develope as a supplier in a demanding industry. 31.05.2018 Benarx Korea has had just a pleasure to host one of its main clients - Equinor (Statoil). 07.05.2018 Benarx Solutions in cooperation with International Paint organized a sales training in Felling, UK last week. The training was dedicated to Sales Department of International Paint /AkzoNobel according to the signed a marketing and distribution agreement with Benarx Solutions AS. 28.04.2018 Benarx proudly announces the official opening of our new office & manufacturing facility strategically located in driving distance to both the DSME yard and the SHI yard in Geoje, South Korea. More than 50 guests from our most important clients and partners visited our opening ceremony, hosted by our country manager BongHyun Cho and his team. 14.03.2018 Benarx Solutions has obtained a next order for the surface treatment and subsea insulation of eight multi-phase gauges on the Liza field outside Guyana, South America, one of the world's largest oil discoveries in the last decade.